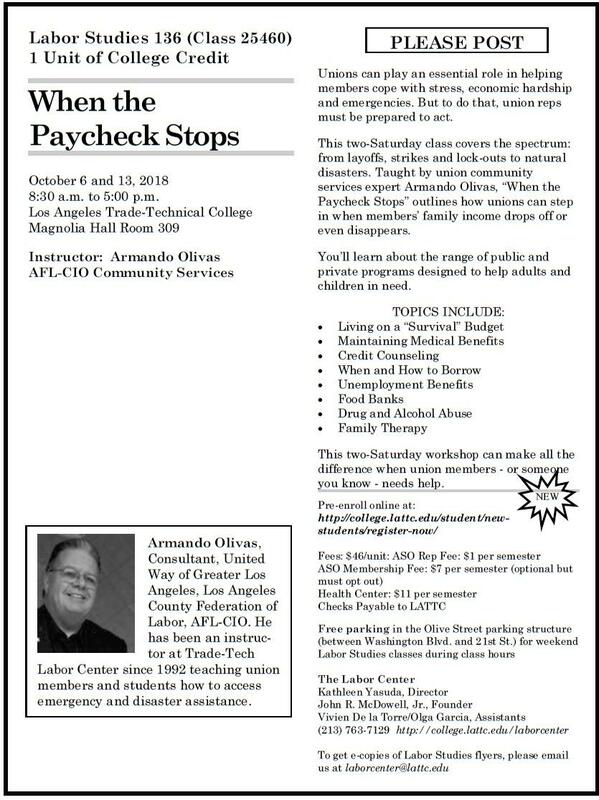 Learn how to counsel members when the paycheck stops due to strikes, layoff, or plant closure. 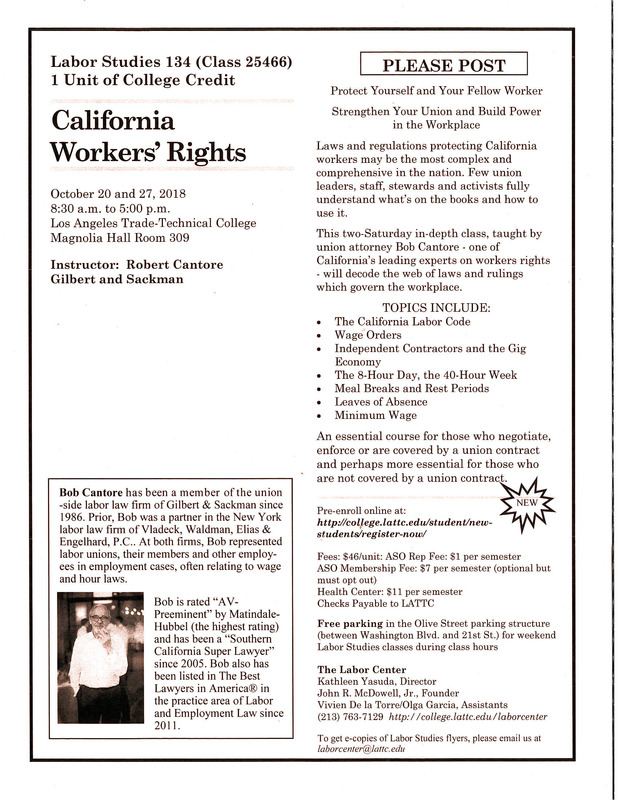 Overviews such services as retraining, food banks, unemployment, and negotiating with landlords, mortgage companies, utility companies and other creditors. 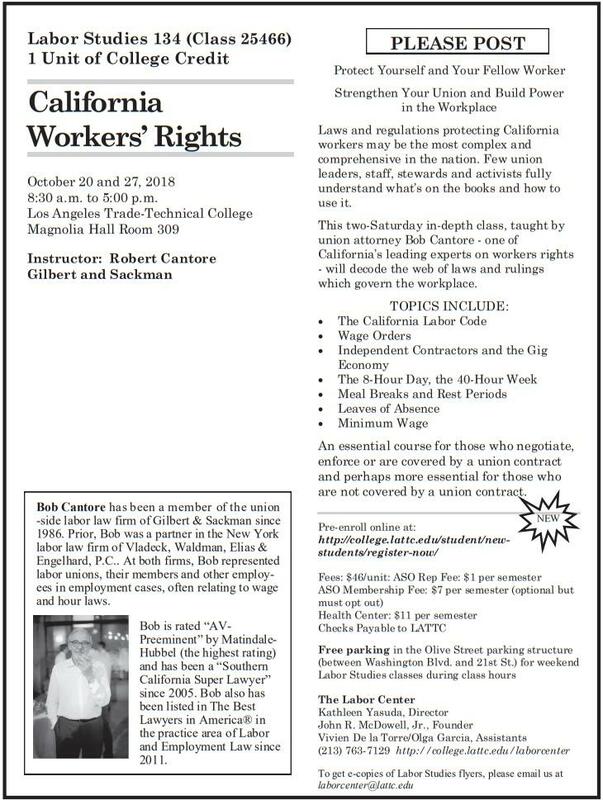 Federal and California Labor Code covering: minimum wage, timely pay, overtime, meal and rest periods, privacy, parental and other leaves, and enforcement procedures.